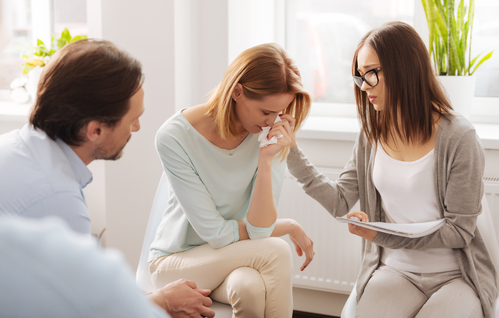 As a divorce attorney and mediator, I have often felt that a missing piece to the puzzle was the involvement of mental health professionals in the divorce process. Does anybody have the same experience and if so, any ideas on how to bridge this gap? It's totally been a missing piece., but the culture's shifting. The involvement of mental health professionals has made all the difference in the cases I've been working on over the last 10 years. Invite some local therapists who do couples work to come in to the divorce process as divorce coaches. Use your authority as attorney/mediator to promote the idea as being pivotally important, and GO. Have meetings with all participants present - the transparency reduces much of the fear - and see what the presence of divorce coaches ( typically one coach for each spouse) does to de- escalate the intensity of the process, and move the process forward. I've been involved with the development of a multidisciplinary divorce group, CCD, Coalition for Collaborative Divorce in LA and Ventura counties about 10 years ago and have been an active member since then, and am just now starting another group, ADP (Alliance of Divorce Professionals). 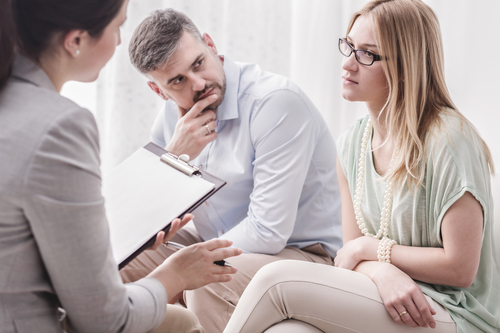 Mental health professionals are involved as divorce coaches from the beginning of our divorce cases. It's been an extraordinary shift in the energy of cases, even with attorneys who have typically litigated cases: to have coaches present in meetings that include both spouses, both collaborative attorneys, or a mediator, de-escalates so much of the adversarial, fearful expectation that real solution-focused attention is possible. Pauline Tesler and Peggy Thompson outline the methods well. I have found that Collaborative Divorce has not been embraced by the divorce attorneys in Palm Beach County where I have been in practice for 25 years. They seem to object to the Participation Agreement, where they are required to withdraw from a case if they cannot settle it, and some just think it's too airy fairy. I and several other divorce attorneys are currently exploring and/or developing some other options for attorneys that may be more palatable. How has Collaborative Divorce been received in the LA area, and have you experienced the same resistance? Thanks! Lynn, I am very interested in what you are presenting here and I agree a lot with your findings. I would like to know more about the ADP and how that is progressing. Where are you located? I am in Boca Raton, Fl and am currently involved with a few collaborative cases. I find that my involvement in these cases shifts the energy in the room and allows for stready progress toward viable solutions for the couple created by the couple (not fear based churning of the case created by their attorneys). I think having a mental health professional involved in the case is mandatory to manage the process, in a forward direction and to have someone who is trained in looking out for the best interest of the children if there are children involved. Please leave me a message on my page and call me at 561-391-1498. I see myself as being in the middle of therapists. They feed me their clients who have decided to divorce and then the clients go back to the therapist to keep going. I am the meat of this sandwich. Therapists are on the front lines, working with our clients before, during and after divorce. I feel like as a mediator I can move fastest and with less drama when I can work with the couple myself without other experts involved. 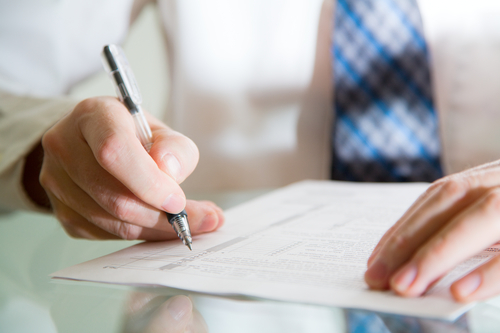 I actually try to keep my clients from reviewing my Marital Settlement Agreement with other lawyers because I don't trust them. I think they will make the clients unhappy with the deal just so they can drum up more business for themselves. But I digress. When you say you feel there is a missing piece, do you mean to the work you do with couples. Would you have therapists in the room with you while you are working? I wouldn't do that because I am the Lone Ranger. I see the issue of Collaborative Law has been raised below. I was SO excited to hear about that 8 or so years ago until I saw who was getting involved in my area. In San Diego where I am, some of the worst sorts are getting on that bandwagon and it just seems like they have even more opportunity to churn a case and now bring their expert friends into the case. I don't trust a lot of divorce lawyers. This is where Cynthia and I diverge. She thinks most divorce lawyers are OK. Maybe in Florida your divorce bar hasn't lobbied the legislature to make your fees payable out of the equity in the home but out here there is such a powerful conflict of interest when the lawyers KNOW they are going to be paid. All they have to do is slap a lien on the home, force a sale and take the sales proceeds. Their clients never knew what hit them. There is SO much abuse of clients due to that law. Divorce court is just a racket to enrich lawyers at the expense of their emotionally vulnerable clients who actually think their lawyer is their friends. Oy Vey!!! OK, I had another thought. It is up to divorce lawyers who "get it" to educate mental health professionals about the alternatives to our adversarial system. I have come up with an assessment that therapists can use to see if their clients are good prospects for mediation. If they can honestly answer all questions "Yes" then they are ready for a peaceful divorce. Here is mine, you would have to put your court's filing fee and your own price in but I charge a flat fee of $2,500. Is Peaceful Divorce For You? Peaceful divorce is a great option for many people. Please review the questions below to see if you believe Peaceful Divorce is a good choice for you. 1. Would you like to avoid court and lawyers so that you can have a peaceful divorce? 2. After your spouse sees the value of a peaceful divorce, do you believe they would sit down with you and a mediator in order to settle your issues outside of court? 3. In order for Peaceful Divorce to work, both of you need to disclose all your property to each other. Do you believe both of you can do that? 4. Do you believe you and your spouse will see value in cooperating with each other as opposed to fighting? 5. Are you and your spouse interested in saving money on legal fees and protecting your children from a nasty divorce? 6. Do you like the idea of making decisions without a judge telling you what to do? 7. 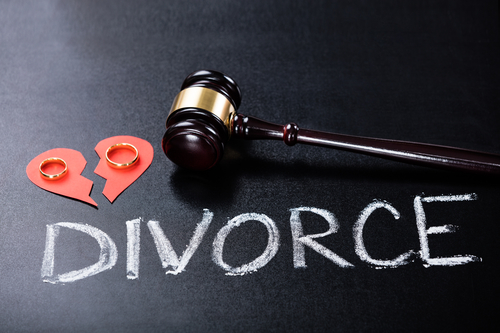 Would you prefer to resolve your divorce quickly so that you can move on with your life? If you answered yes to all these questions, peaceful divorce is for you. This is great, Belinda! It's hard to imagine anyone answering no to any of these questions! Thanks for weighing in here and providing this valuable resource for others to use to further the cause of peaceful divorce! Leading questions with obvious answers. But the funny thing is there ARE people who would say NO to some of these, esp. #3. People who come to us for mediation are self selecting. Our challenge is to get the word out that mediation is an option in the first place. I’ve noticed that a “collaborative model” that works in one jurisdiction appears to be successful because of the individual professionals who create it and work within its framework. That seems to be the same with “divorce coaching” and “parenting coordination.” An attempt to replicate the successful model or entity that resolves disputes and, simultaneously, maintains sensitivity to the emotional well-being of the family, does not necessarily work in a different jurisdiction, substituting different professionals. I do believe, however, that a “team” approach, with specific parameters and facilitated by professionals committed to the peaceful divorce process, can truly empower divorcing families to make the best decisions possible for themselves. perhaps developing collaborative relationships with mental health folks could help bridge the gap. we can bring assistance and support for communication and parenting plans wihtout giving 5 years of therapy... Some friends of mine are attorneys. I htink the issue is sometimes that they prefer to avoid relinquishing any control ... Bottom line someone has to reach out... someone else has to be receptive. Excellent point Valorie. I agree that there is a component of the attorneys having difficulty relinquishing control over what they perceive as their case, and one that they are in fact professionally responsible for. I can understand, having been a divorce litigator for almost 15 years myself! Our challenge will be to create a relationship format that will be less threatening to the lawyers, and for them to even see the necessity and benefit to working together with mental health professionals! Yes, things are changing in this regard. The divorcing public and even the judges are demanding peaceful divorces. This takes a team, and a critical component of that team is often a mental health professional, whether a counselor or a coach. The gap is being bridged naturally, but it would definitely speed things up for the attorneys and the mental health professionals to start proactively working together! We can, and are, beginning that right here! As a licensed therapist, I have seen the impact divorce can have on children and the parents if they are not aware of their options. I believe families should be involved with a mental health professional before, during and after the divorce to help them maintain their emotional well-being and reduce uncertainty. Just like the relationship psychiatrists have with therapists, I think the team approach to helping clients is extremely important and valuable fand will empower them to make the best decisions for the family.